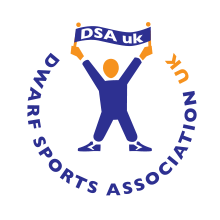 The Dwarf Sports Association UK (DSAuk) aims to make regular sporting opportunities accessible and enjoyable to anyone with restricted growth in the UK. They promote and develop recreational and competitive sport and physical activity opportunities across the UK. DSAuk is a membership organisation working at a national and regional level to promote and provide sporting opportunities for people with restricted growth. Through their national office and regional networks, they offer advice and information on physical activity and sports opportunities for people with dwarfism who want to access and participate in sport and recreational activity at a local level. DSAuk also have links with National Governing Bodies of sport (NGBs) and the wider sports sector throughout the country. To visit the Dwarf Sports Association UK website please click here. If you can't find what you're looking for, use the search above and we'll point you in the right direction! © 2015 North Yorkshire Sport. All rights reserved. Website created by Cuttlefish using SportSuite.